Mechanize is the much-anticipated new album from a newly rejuvenated and a newly reassembled version of Fear Factory that features the creative reunion of long-time vocalist Burton C. Bell and guitarist Dino Cazares (recently seen touring with his Divine Heresy project). The biggest and most immediate question is whether Mechanize stacks up with the band’s major 90s releases Soul of a New Machine, Demanufacture, and Obsolete. The answer is “yes,” more or less. 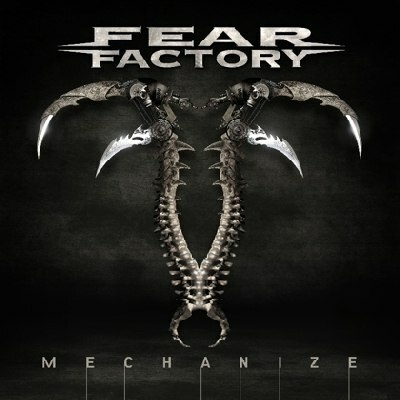 On the one hand, the style and sounds found on Mechanize do bring to mind the feel and energy of Fear Factory’s past successes. On the other hand, this achievement also ends up limiting the album’s potential as well. The opening title track starts off with a rising industrial instrumental before launching into exactly the sort of musical attack one would expect from Fear Factory. With its barrage of blast beats from Gene Hoglan (Death, Strapping Young Lad), Bryon Stroud’s (Strapping Young Lad) thumbing bass, Cazares’ trademark heavily-muted riffs, and a chorus built for being screamed along with, “Mechanize” creates a momentum that, for the most part, lasts throughout the album’s 45-minute running time. While Bell brings his trademark shouted vocals to the album, by the time the band reaches the chorus of “Industrial Discipline” he’s already brought out his familiar clean singing as well. The return of Rhys Fulber (Front Line Assembly, Delerium) contributes to the “classic” Fear Factory sound as well. Not unexpectedly, the album’s themes explore technological discipline and false consciousness, with lyrics such as “Slave to the industry/faceless in the machine. You do not realize you’re dehumanized” opening the album and Bell screaming “Fear is your god!” at the climax of “Fear Campaign.” One of the record’s strongest tracks is “Powershifter,” an insistent call to “always question authority” and featuring the individualist mantra of “changing my world so I can live.” The final track, “Final Exit,” is a reflective and somewhat melancholy moment of human sentimentality over-top the industrial onslaught. Mechanize works. With the album’s more powerful songs mixed in with Fear Factory’s back catalogue, its material should ensure some powerful live performances in the near future. At the same time, if Bell’s and Cazares’ intent with this incarnation of the band was to replicate their finest moments, they’ve almost succeeded too well. It’s not clear at this point whether this new offering has enough unique staying power to ensure that, once the dust of its release has settled, its cuts will stand out from the rest of the band’s music. It’s a great listen for the first few times, but then it begins to feel a little too familiar. The latter half of the album, save for perhaps “Final Exit,” just isn’t as engaging as the first half. Now that any concerns about whether or not Bell and Cazares can write a strong comeback album together can (and should) be put to rest, the new question is whether or not Mechanize has layers enough to ensure that the record doesn’t end up feeling like just another product of a larger machine. Mechanize will be available in North America on February 9, 2010. 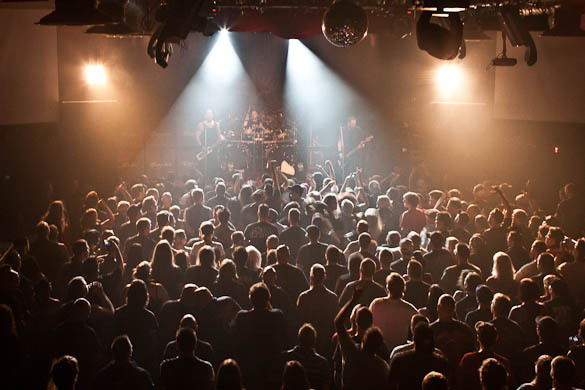 Natalie Zed reviews the August 17th Toronto performance by VOLBEAT, THE SLEEPING and DOMMIN at the Mod Club. VOLBEAT live photos by Adam Wills.